For the last 20 years, network design has been focussed on working around limitations of the protocols anddevices that are available. Networks are designed around the defects in the protocols that we use like Ethernet, STP, OSPF and BGP and the hardware limitations of our devices. Networks using autonomous protocols are not perfectly predictable. The complexities of MPLS/BGP, OSPF and STP protocols fill entire textbooks and require years of study, practice and experience before we can , at best, be mostly right. reliable – under load, during day to day operation, over time, during change. resilient under failure, outage or exceptional events. The current generation of network technology is NOT predictable or safe. virtual devices should be preferred over hardware. use many devices instead of one HA pair. Support for Open APIs that are in common use. Freedom is the power or right to act, speak or think as one wants without hindrance or restraint. 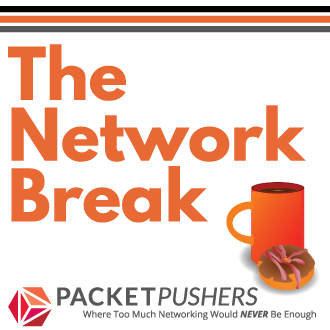 Although networkings has more freedom that most technology disciplines, it is rapidly disappearing as vendors face change driven by cloud. Freedom in networking means the network can (and will) be part of data centre orchestration. The network is no longer a silo, there is no “edge” and is must be integrated into a larger ecosystem of the data centre. Freedom is the ability to mix and match pieces to make the whole. open source, open license, open APIs, and open dialog with vendors and developers. using the software tool, method or mode of your choice to orchestrate your network (not forced to integrate a vendor tool into your system causing it to be unreliable). Be it chef, puppet, ansible or some other tool not yet on the market. Tools should work at the device level. 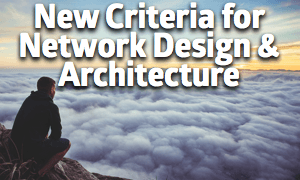 These design criteria force me to think of networks in a different way. Today we are doing what we can with what is available because that is all we have. This creates a destructive cycle of repeating the same mistakes. I feel that using these criteria for a design starts a process of thinking differently about the process and the outcomes you want to achieve. When you read & review a Validated Design, Best Practice or reference architecture, ask yourself if it will be predictable and safe, based on software and with the freedom to integrate into any type of architecture in the future. Good post as always and change and thinking differently is always a good thing. Some of my thoughts to add for perspective. —-some of those 30 year old protocols are solid, know FSM constraints meaning you know exactly how they behave thus free of any dubious operation. Cloud is using those 30 year old protocols too. Sometimes you need a level of constraint to ensure stability – safe. license, open APIs, and open dialog with vendors and developers. integrate a vendor tool into your system causing it to be unreliable). went down this road with SNMP and Netconf too. the market. Tools should work at the device level. 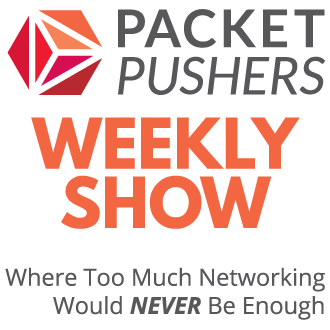 vendors actually conform to — exactly and we went down that road with SNMP. But keep in mind we end up with tool sprawl in this sphere too as well as the vendor versions. It is the market that will drive the freedom and quality. Weather it be open or proprietary the better mousetrap will always win. We went from many different vendors from the late 80s early 90s (freedom to choose from vendors) but similar protocols and constraints to stich it together to get it all to work, to all the vendors basically offering the same or overlapping solutions to now where you can build it your self whitebox/brightbox, open vendor, closed vendor or hybrid vendor solutions. You are spot on on thinking differently towards design, one approach is how to use your constraints differently with the open or freedom based solutions et al. for there will always be some level of constraint involved to reaching your figure of merit. great reading and thought provoking. We need to step out of our old ways and look at what is available today with the end goal always in mind. We at Kloudspun believe that having a agile tool to design networks is an absolute must.